Your Lamaze Certified Childbirth Educator (LCCE) certification is the highest standard in childbirth education, a symbol of your specialized skill and experience to colleagues and expectant parents. In order to stay current and renew your LCCE credential, you must submit a recertification application every three years, along with 25 contact hours. You worked hard to study and pass the exam—don’t let it lapse! Your LCCE certification shows colleagues and expectant parents that you’re a seasoned, trusted educator. The LCCE credential is the only NCCA-accredited certification program for childbirth professionals. Recertifying your LCCE credential ensures that you continue to grow as an educator! 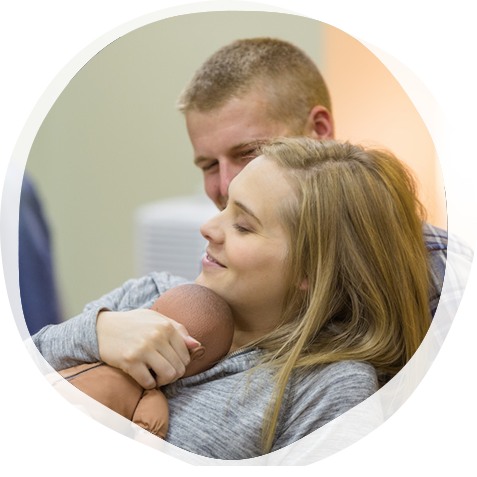 Lamaze educators can take advantage of the latest educational offerings and develop new teaching techniques. Explore current issues and refresh your knowledge of changes in childbirth education. Your recertification includes 3 years of Lamaze membership, allowing you to connect with colleagues across the world, be part of an active advocacy community and access exclusive, evidence-based professional resources to use in your classes. The Lamaze website is an information hub that gives you access to handouts, infographics and other materials—so you don’t have to create your own! Visit our online Certification Center to submit your recertification materials, track your contact hours as you earn them and submit your recertification application. If you need extra help, view our step-by-step recertification instructions. Don’t worry! All LCCE educators are granted a grace period of 12 months in which to complete the recertification process and restore their credential by submitting 30 total credit hours and a $25 additional late fee.